As visitors enter within the gentle shadows of the stone church, they are surprised by the rich decor. Even from the front door, the church sumptuous sanctuary catches the eye. Immediately, the visitor is transported to another time in history. 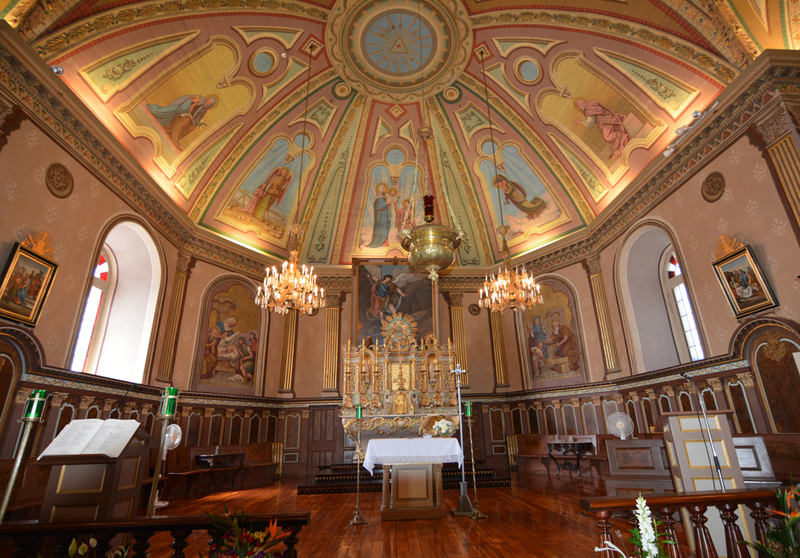 This church, built between 1783 and 1789 according the desires of seigneur Michel-Eustache-Gaspard-Alain Chartier de Lobtinière (1748-1822), is one of the rare churches that has conserved its original aspect and decor. It showcases all the architectural features of the era of New France. More importantly, its decoration and objects are closely knit with the seigneurial family’s history. The Vaudreuil seigneurs created an incredible museum containing treasures of artwork and religious objects. 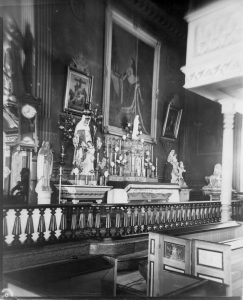 Three paintings, six pieces of liturgical furniture, nineteen altar accessories, two statues, ten pieces of goldsmith’s work and an organ were all recognized to be of national importance and classified by the Quebec government in 1965. 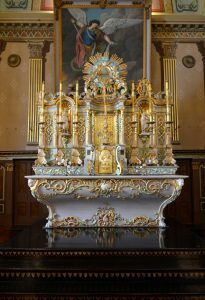 The altar’s liturgical furniture was entrusted to Philippe Liébert in 1792 and a first interior decor was sculpted by André Achim in 1834. 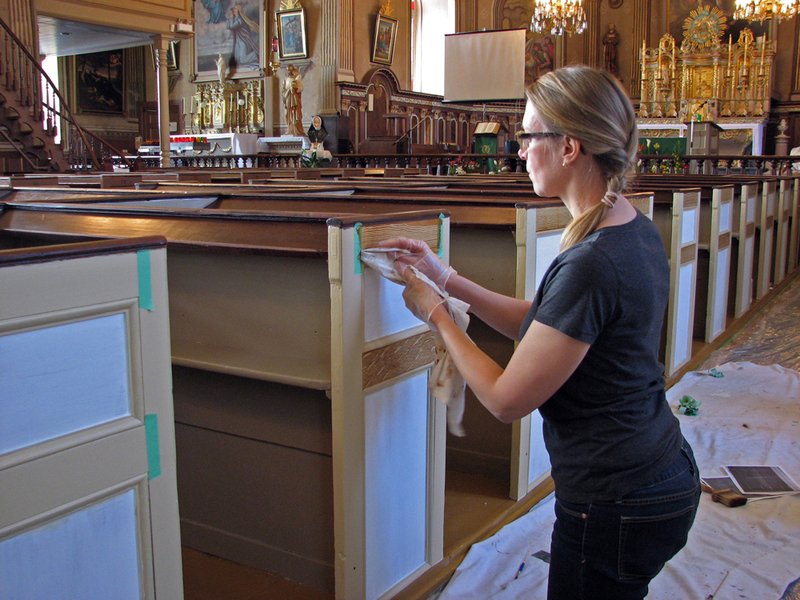 Unfortunately, his work will disappear in 1883 following large scale renovations by artist François-Édouard Meloche. This second decor remains and is considered one of the most beautiful to be seen. 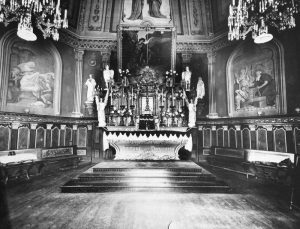 The church was classified as a heritage building in 1957. The Saint-Michel church is an exceptional building. It represents a moment in history that must be remembered for its beauty, the quality of its workmanship, and its everlasting ability to bear meaning for all mankind. 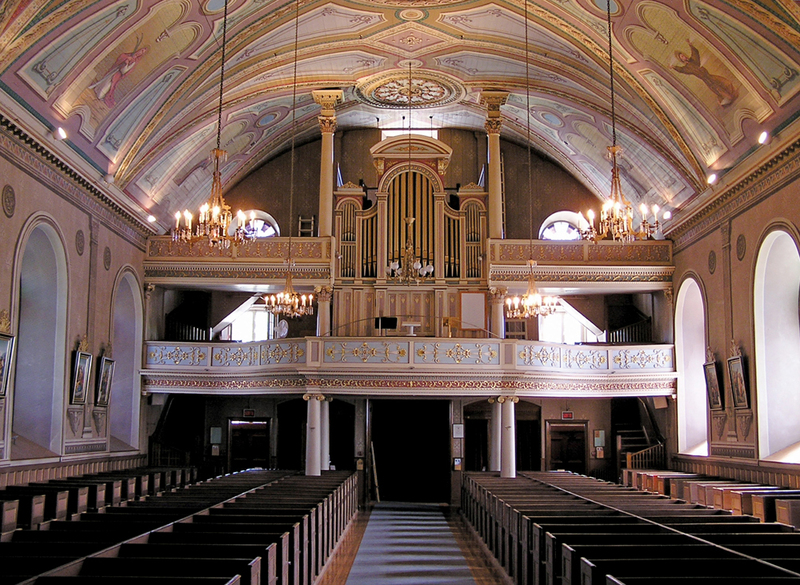 This church bears witness to Quebec’s great period of sacred art. Today, it is cherished by a large community whose desire is to preserve its esthetic qualities.